Director Hong Sang-soo’s (홍상수) 14th feature film Nobody’s Daughter Haewon (누구의 딸도 아닌 해원) is a wonderfully charming and beautifully endearing tale. The film received it’s world premiere at Berlin before invitations to festivals throughout Europe, the Americas, Asia and Oceania, which are a testament to not only director Hong’s popularity but also for the seemingly effortless sincerity captured within the story. Fans and newcomers alike will find much to enjoy from Nobody’s Daughter Haewon. Director Hong has infused the film with his trademark nuanced style, employing a subtle and understated method that belies the depth and symbolism within, while also referencing previous works. Yet the film is also notably given heart and soul by the quite lovely performance of Jeong Eun-chae (정은채) as Haewon, a young woman struggling to reconcile her identity and place in the world. Haewon (Jeong Eun-chae (정은채) is a lonely film and acting university student who, due to her attractiveness and strength of character, is often set apart from her classmates. When her mother announces that she intends to live in Canada, Haewon’s loneliness increases dramatically leading to a reunion with married professor Seong-joon (Lee Seon-gyoon (이선균), with whom she has an on-and-off affair. As the couple begin to rekindle their feelings for each other through dates at a traditional park and an old hiking trail, their interactions become increasingly fraught. Director Hong’s seemingly effortless, almost meandering style perfectly captures the inner turmoil of his lead protagonist. His deceptively simple camera movements and mise-en-scene may appear whimsical at first glance, which is indeed part of the film’s charm, yet there is also symbolic depth within every frame. The empty – and previously restricted – park, the uphill struggles of hiking, the overbearing statues and so forth all emphasise Haewon’s evolving psychology following the departure of her mother and rekindling of a self-destructive relationship. Director Hong employs such aesthetics in conjunction with his trademark ‘repetition with difference’ sequences, and as such each time an interaction is conducted the subtle changes produce alternative meanings and endings that are fascinating to watch unfold. In constructing such repetition seamlessly within the story, each ‘chapter’ – or rather reenactment – is a product of Haewon’s diary entries or dreams adding further allure as she is very much in control of the unfolding events, further accentuated through her occasional narration. This would of course mean very little if Haewon was unlikeable, however actress Jeong Eun-chae is wonderfully charismatic throughout. In what is arguably her breakout role, Jeong Eun-chae infuses her character with strengths and flaws in equal measure, conveying a nuanced complexity that is mesmerizing. It’s not so much that her performance is perfect, but that when over-acting or stoicism appears it is wholly natural within the context of the scene. When Haewon meets actress Jane Birkin in the early stages of the film, for example, the awkwardness and slightly cringeworthy moments express not only being star-struck but also Haewon’s desire for a mother-figure to admire and be valued by. Jeong Eun-chae is also great at adapting Haewon as a slightly different person for each repetitive sequence, also symbolised by her striking red and autumnal coloured clothing. The subtle changes, as well as the criticisms and compliments that come her way, are all indicative of a young woman attempting to establish her identity through dreams and diary recollections, and are consistently lovely to watch unfold. That said, Nobody’s Daughter Haewon will not be for everyone. 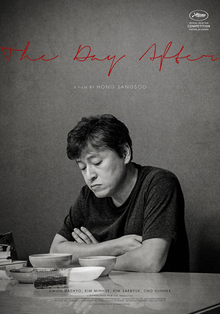 Critics of director Hong’s style will undoubtedly find the same issues within this film as they have in his previous works. The story does indeed meander; the plot doesn’t progress particularly far due to the repetitive nature of scenes; the intellectual male characters are all indicative of contemporary masculine immaturity. Ultimately it will be down to individual viewers tastes whether such themes are a source of charm or frustration. Yet for fans and audiences interested in non-cliched representations of modern relationships, Nobody’s Daughter Haewon will be a refreshing delight. 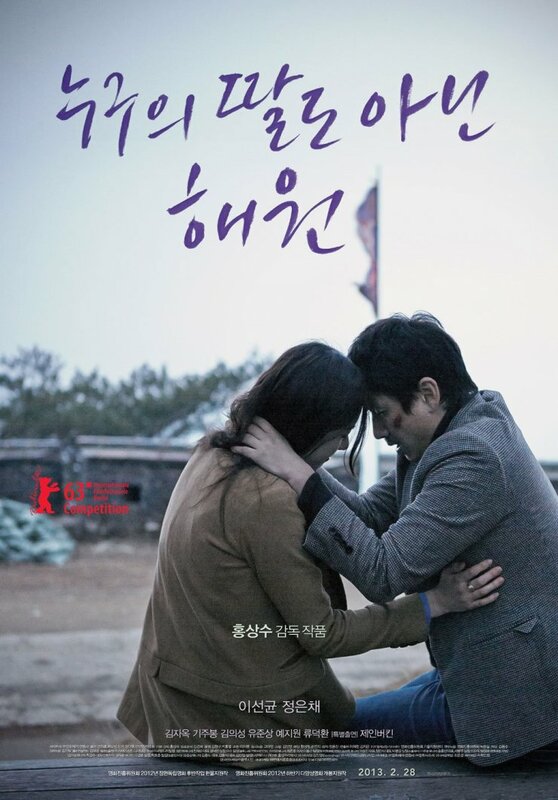 Nobody’s Daughter Haewon is an incredibly charming and quite lovely film by director Hong San-soo. 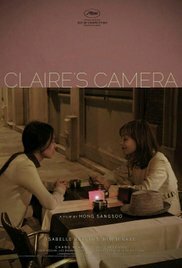 In depicting lonely film and acting student Haewon as she rekindles an affair with her married professor, a deceptively simple and subtlety nuanced film about identity and direction is constructed, employed through the director’s trademark aesthetics. Jeong Eun-chae is wonderfully charismatic and gives a career best as Haewon. While the story does meander and the male characters are quite immature, Nobody’s Daughter Haewon is a delightful and refreshing tale of modern relationships.